I’d like to sincerely thank fellow blogger ‘The blossoming fall‘ for having nominated me for the Liebster Award! OK, here are 11 random facts about me, which I prepared before in one of my previous blog posts…. 1. I still remember the day, when I bought my first gaming console Atari and computer for coding Commodore 64, with specific cassette player and up loader. 2. The moment of uploading and going online with my first ever created website, nearly 15 years ago will be connected to specific sound of 54k internet modem. 3. I’ve learned my first graphic design skills in 1998 with magnificent paint software of Microsoft Windows 98, which was the successor to Windows 95. 4. The spark of energy to bodybuilding and fitness was born inside me 19 years ago, and stayed with me since then, like the best friend ever. 5. Birth of passion for outdoor activity of walking, was as natural to me as breathing and deeply transformational 11 years ago. 6. Curiosity to see how much my physical body can handle, ended up with endurance challenge last year and total distance of +3000 km done in a single year. 8. 16,000 km is also the total distance of the average Irish motorist drives every year, or rally on motorcycle from London to Mongolia done by three Limerick men last September. 9. The spark of inspiration to start painting again, after 25 years of inner journey and transformation created specific wave of deep changes in my life. 10. The moment I felt an urge to write and express myself, I created this blog in the state of inspired action 11 months ago. 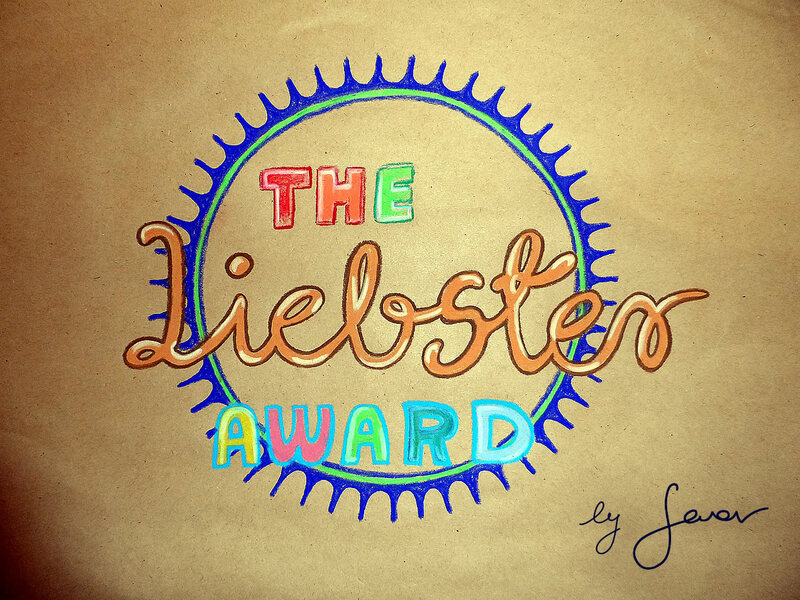 * If you would like to use the badge of Liebster Award on your blog, feel free to do so.. here is the link: The Liebster Award, Design by Swav. ** This blog post is part of my weekly photo challenge as well, and this week’s theme is yellow, which for me means to stay young, fresh and playful. Congrats to you and all your nominees! Very cool ~ and you are definitely a deserving soul. Great pieces of art which you have throughout this blog is a testament to your talent and love of life ~ cheers! Congratulations again on receiving this much-deserved award!! I enjoyed reading your answers… I can totally relate to the Atari and hooray for Italian pasta!! Bravo for your lovely blog! Swav, thank you so much for the nomination. After giving your blog a brief visit I must say I’m doubly honored to have been nominated. Sadly I must decline to nomination because I simply do not have the time to fulfill the requirements. One thing I will do, think of it as partial acceptance, is answer your questions. Keep an eye out for those 11 answers over the next few days. Many congratulations Swav for this award. You truly deserve it.